People often ask me for my advice for beginning fiction writers. 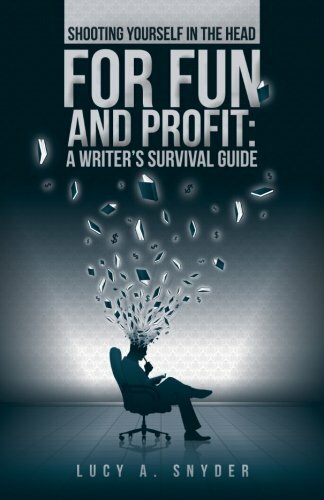 I collected most all of my advice into my nonfiction book Shooting Yourself in the Head for Fun and Profit: A Writer’s Survival Guide. This Bram Stoker Award-winning book is mostly aimed at people who write science fiction, fantasy, and horror, but it contains advice for all fiction writers. With regard to my credentials, I have an MFA in creative writing from Goddard College and an MA in journalism from Indiana University. I have been a faculty member in the Seton Hill University MFA in Writing Popular Fiction program since 2010, and I’ve taught workshops all across the U.S.